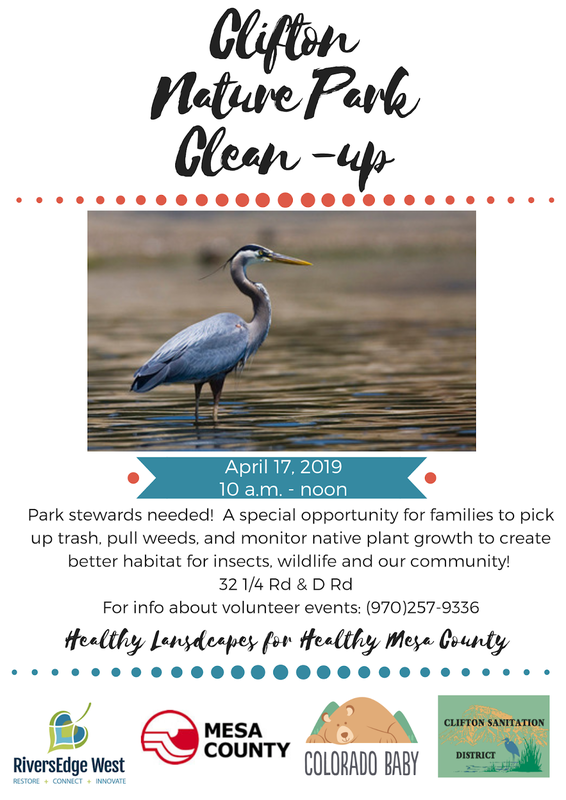 The event will take place from 10 a.m to 12 p.m. Wednesday, April 17, 2019, and includes the opportunity for a descriptive nature walk after picking up trash, pulling a few weeds and monitoring the growth of the native plants we transplanted last fall! This Clifton Nature Park clean-up is sponsored by Mesa County, RiversEdge West, Clifton Sanitation District, and Colorado Baby! All ages welcome!